I've went through my documentation again, and surprise! There were 2 versions of CFUWNs with different FNs in the same time period! CFUWN(FN26.5), CFUWL(FN25) both with same CFUWN inscription on the barrel. 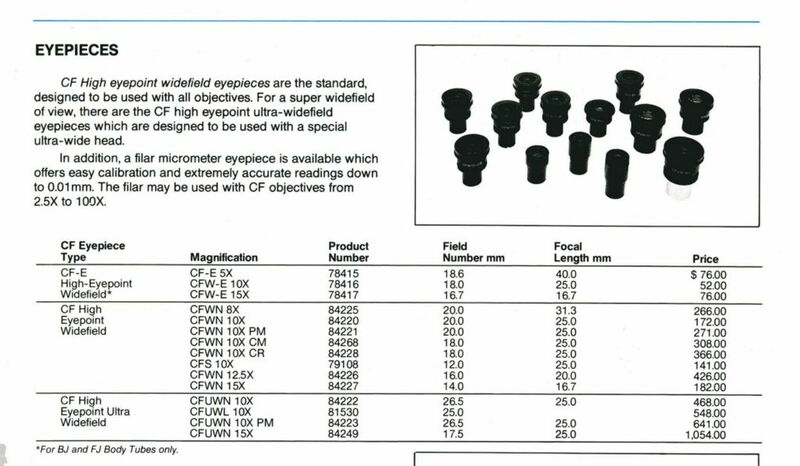 The CFUWL appears mainly in the Optiphot100-300 series infinity inspection microscope brochures and manuals. So, perhaps with later objectives just before the switch to CFI, they might have had NCFs with OFN(Objective FN)<26.5mm. furnished for them. Sadly there is a gap between 1993-1997 in my collection, so I can't confirm. I'll be looking out for information though. Not all of them. The Plan Fluor 20/0.50, for example, has no spring mechanism (mine at least has quite a long working distance), while the Plan 20/0.50 has a sprung nose. There's also the Plan Fluor 40/1.30 for which there is is no Plan equivalent. A list would be very useful. I'll be looking out for information though. Please do We here have been collectively looking for information about the Plan Fluors for many years ... maybe there is something in the Japanese literature? 10x and 20x indeed doesnt have spring loaded nose. 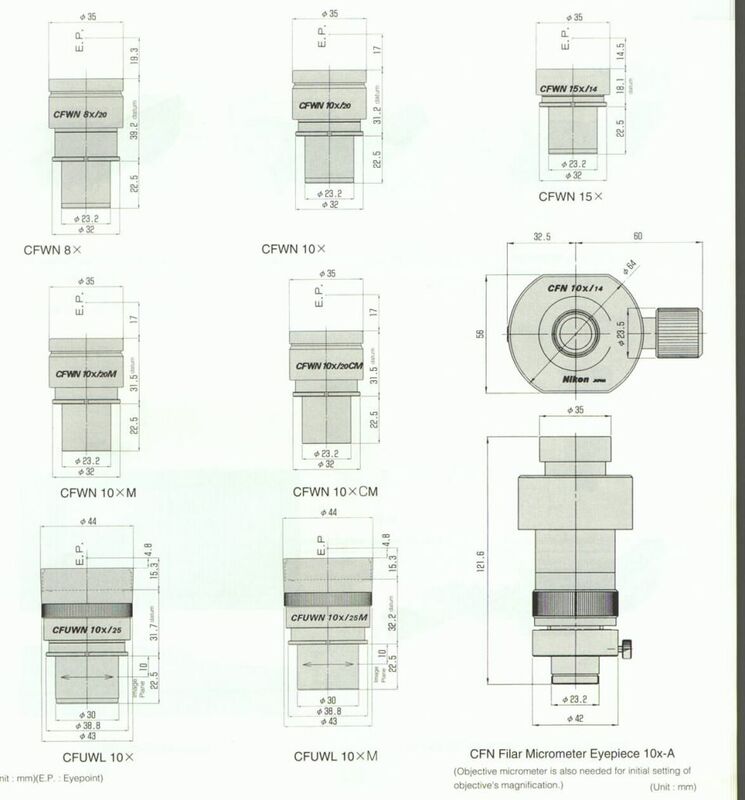 There also was CF Plan Fluor 2x, but i dont have it. Im not aware of any low power PF's. I'll try to measure working distances with micro screw, but they seem very similar to plans.